Abrams Creek is an incredible section for hiking, if for no other reason than Abrams Creek itself. The section is far enough from Cades Cove that you can avoid the typical crowds and if you want to catch the Falls, you have a spectacular approach from the bottom of the Creek rather than the traditional trailhead from the Cove. Although there are no high top vistas, there are nice view of the ridges in the area and a plus is the fact that the climbing is fairly benign. The trailhead is at Abrams Campground, which was still closed for the season. It is a primitive campground in that there are no facilities for campers needing electricity and water. It’s tents only. The area is a favorite among horseback riders. Trailhead: Cooper Road Trail at Abrams Creek Campground. As for documenting the trails, it was a bit challenging in that the route had three offshoots from Cooper Road Trail dividing it into three distinct sections. There are 4 campsites in this section; # 1, 2, 3 and 17. There is ample water throughout the section. My base pack weight for this hike was 16 lbs. and total weight as 22 lbs. I got started at about 9:00 am on a cloudy day heading down Cooper Road Trail. The hike starts out typically as a double track jeep road along Abrams Creek. I passed a couple fisherman. There are a couple creek crossings in the first mile. 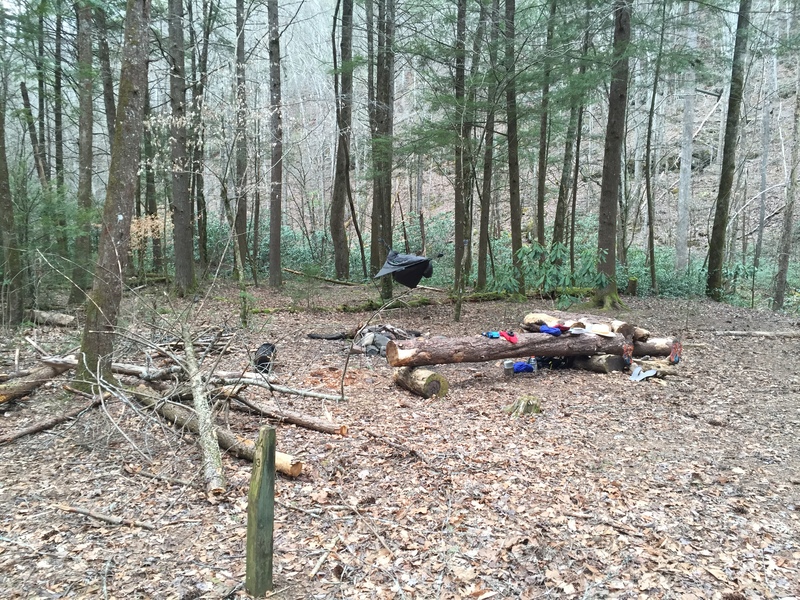 Campsite #1 is just past the trail junction with Little Bottoms Trail at 1 mile. For a campsite so close to a trailhead, the site is only lightly impacted. I met a 74 year old day hiker and we exchanged a few hiking stories. At 2.6 miles you reach Goldmine Gap and the Goldmine Road Trail leading to the park boundary. The trailhead is in a small neighborhood and is rather obscure as there is no marking for the trail. Upon completing the 32 minute roundtrip to the trailhead of the Goldmine Road Trail, I continued on Copper Road to Cane Gap. Cane Creek Trail intersects at .6 miles up from the Goldmine Road trail. There is a stream crossing just ahead of Campsite #2, a nice little site although one would do well to watch for widow makers in some of the dead pine trees. I stashed my pack up the bear cables and move on to the end of Cane Creek Trail. Just past the campsite, there is a wet stream crossing. 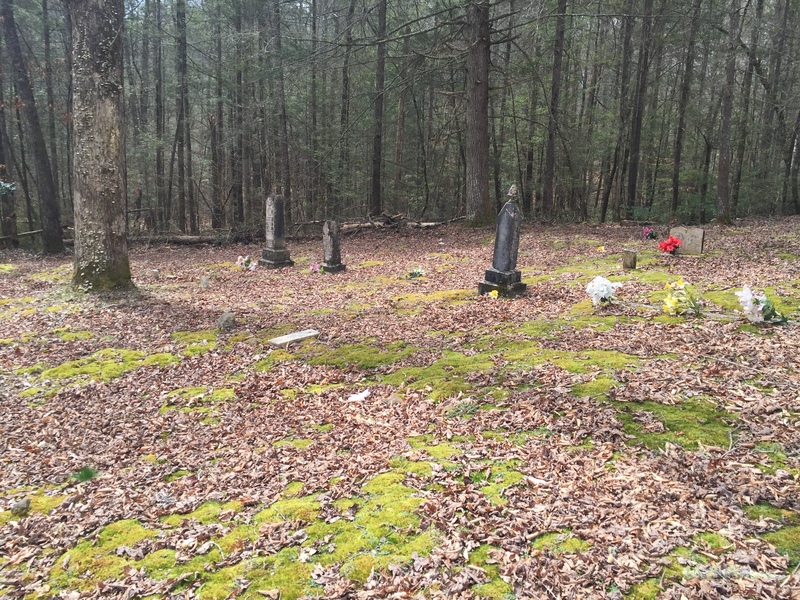 There is a small cemetery about 1.6 miles accounting for the fairly wide trail. There are a number of Buchannans buried there dating back to the early 1900’s. At about 1.8 miles, there is the third wet stream crossing before the end of the trail at 2.1 miles in. It is a bit of a shame there is no connector with Beard Cane along the park boundary. The sun popped out on the return trip to CS#2 for a bite of lunch. At 1:15, I was back out at Cooper Road headed for Beard Cane. The temperature rose to 78 degrees. Cooper Road ascend a bit to top out on a ridge for a half mile. Toward Beard Cane Trail, the foliage opens up as a result of the windstorms that devastated many of the trees in this area. I use the voice recorder on my phone to capture voice notes and sometimes I forget to turn it off before it goes back in my pocket. So I captured about 17 minutes of hiking with my phone recording the sounds from my pocket. In a weird sense, it sounded very much like a heartbeat and blood flowing through the circulatory system. I cleared this last bit of the Cooper Road trail, 1.8 miles in 33 minutes and headed down the Beard Cane Trail. The Campsite formerly known as #11. The sign post is all that remains. The severe wind devastation begins about a half mile in. My original plan was to stash the pack and camp at CS#11 which was about a mile in. Upon getting there, I found the post announcing the site but there is no site to be found. There are blow downs everywhere. The site is still listed on the Park Service Backcountry website but it does not allow reservations. This section of Beard Cane is disappointing on the one hand but also pretty amazing in the fact that the Park Service managed to clear this tangled mass of blow downs so it can be traversed. Now we get to watch how creation re-invents itself after a traumatic event. The trail is muddy and swampy in places but for the most part, the briars and undergrowth are cut sufficiently back. My memory of this section from the last time was a very long stretch over several wet creek crossings but to my pleasant surprise, the blow down section ends after only a 3/4 mile or so. The balance of the trail is fairly level but there are several creek crossings that will involve wet feet. CS#3 is 3.7 miles in. I stashed the pack and finished the section at Blair Gap and returned to CS#3. My evening at CS#3 was pleasant and lonely. The site is on Beard Cane Creek itself and I was sung to sleep with water music. The next morning, I headed back the 3.7 miles to Hatcher Mountain Trail. I have already hiked Hatcher Mountain on my previous Cooper Road – Abrams Fall Trail loop but it was nice to see it again as there are wonderful views of the Abrams Creek through pine forests and the hiking is generally downhill. By 9:33, I started down Little Bottoms Trail which rolls up and down and it nears Abrams Creek. Campsite #17 is 0.7 miles in. It is a great site next to Abrams Creek. There are plenty of open flat spots for tents and it is a place to remember for a short overnight creation fix. There is no a lot of dead and down wood but there are few other signs of impact with low tree cover and pine needle carpet. The trail continues along the creek nice and flat until about 1.5 miles where it ascend the ridge rather dramatically for a half mile or so where it descends steeply back to Cooper Road Trail. 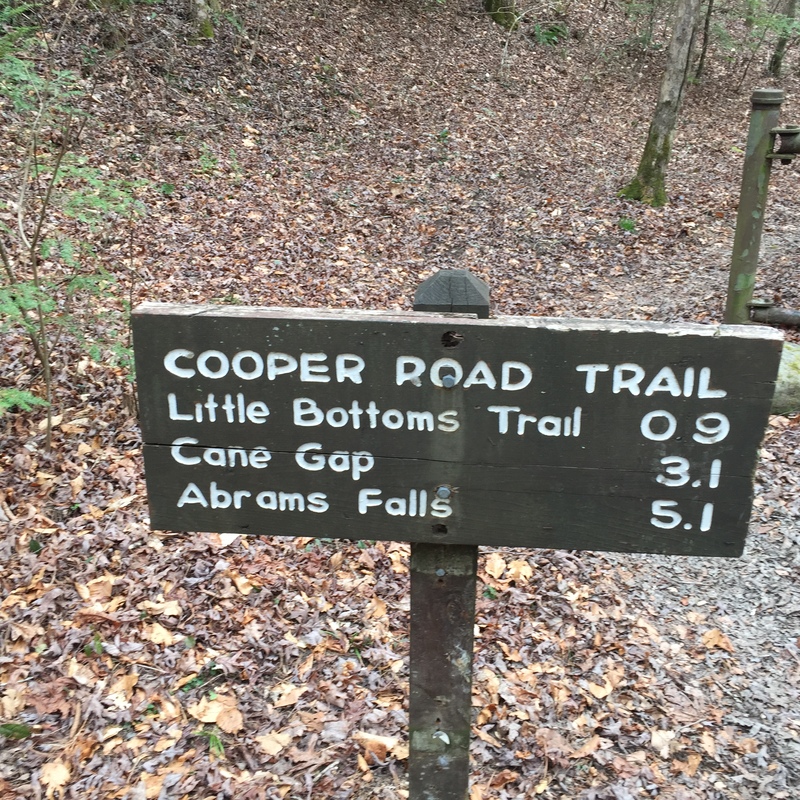 After a rock-hop creek crossing and 56 minutes, Little Bottoms Trail was complete. 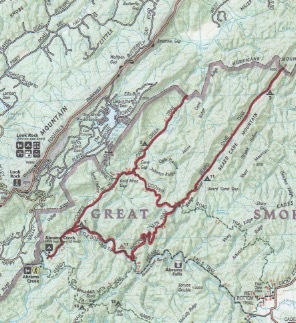 I hiked the 0.9 miles blackout to Abrams Creek Campground for some lunch. The plan was to continue with the lower section of Rabbit Creek and Hannah Mountain but that was going to add about 9 miles to the trip and I opted to do that another day. 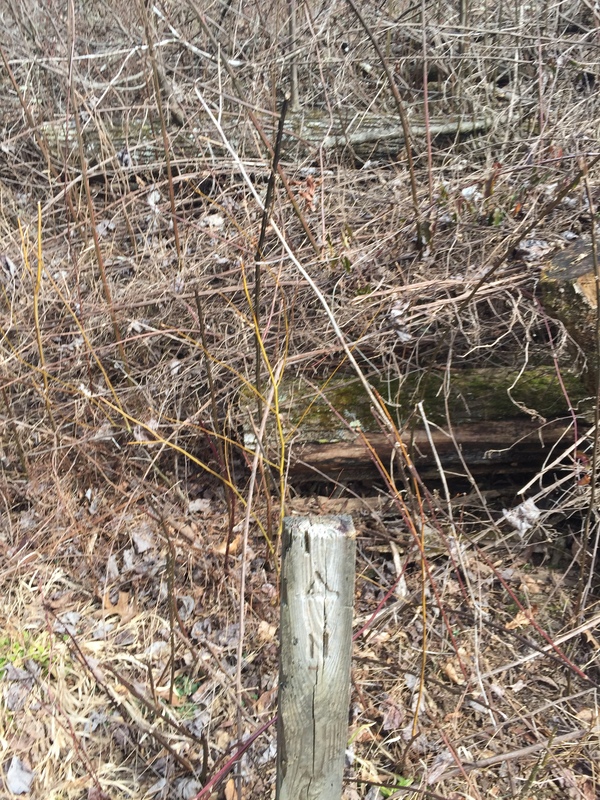 This entry was posted in Trail Log and tagged Abrams Creek, Beard Cane Trail, Cane Creek Trail, Cooper Road Trail, CS #11, CS #17, CS #2, CS #3, CS# 1, Goldmine Trail, Hatcher Mountain Trail on April 1, 2016 by blogginggazelle.